Additionally, video footage points to at least one potential discrepancy in the tunnel schematics shown to reporters, suggesting there was likely a second bypass tunnel at the North Portal instead of the displayed single tunnel with five branches. Finally, the ground photos not only provide some interesting insights into the surface composition of Mt. 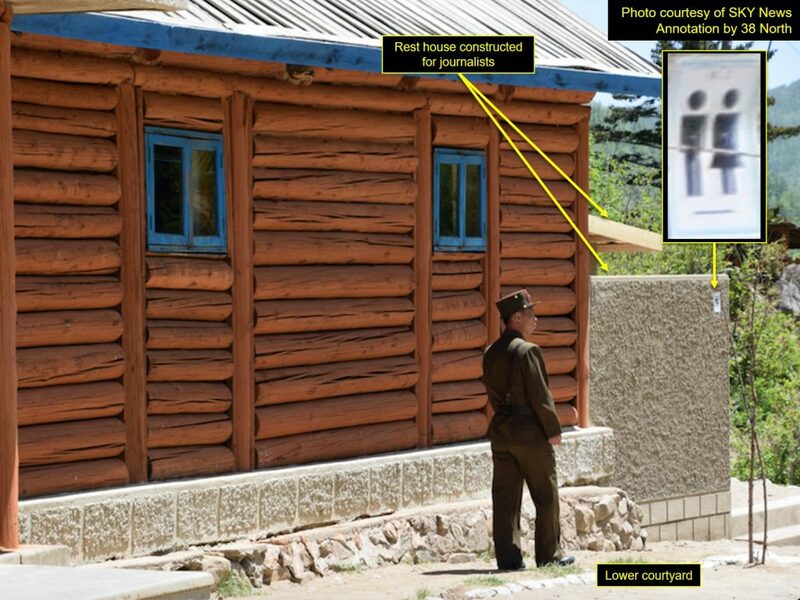 Mantap and the overall site terrain, but also interesting quirks about North Korea’s efforts to accommodate international visitors during the site closure, such as grapevine art on a retaining wall outside the North Portal. Before the demolition of the nuclear test site began, international reporters were shown a detailed topographical map providing a non-engineering schematic of the test tunnels with the six test locations clearly highlighted. For each of the active tunnels systems (originating at the North, West and South Portals), three planned explosive points were identified, one at the entrance and two deeper into the tunnels but stopping short of the tunnel branches (where applicable). 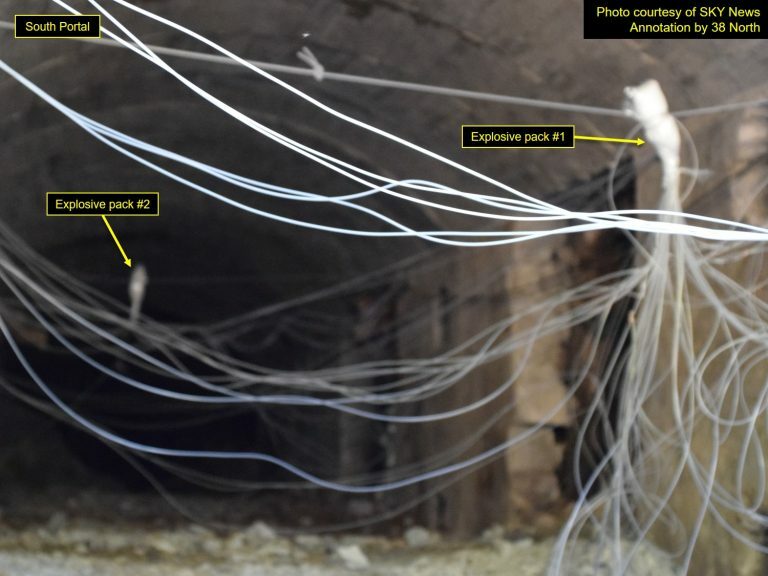 Video footage confirmed that at least two detonations took place at each of these tunnels, roughly 15 seconds apart. Figure 1. North Korean map of tunnel schematics shown to foreign reporters. Photo courtesy of Sky News, annotation by 38 North. 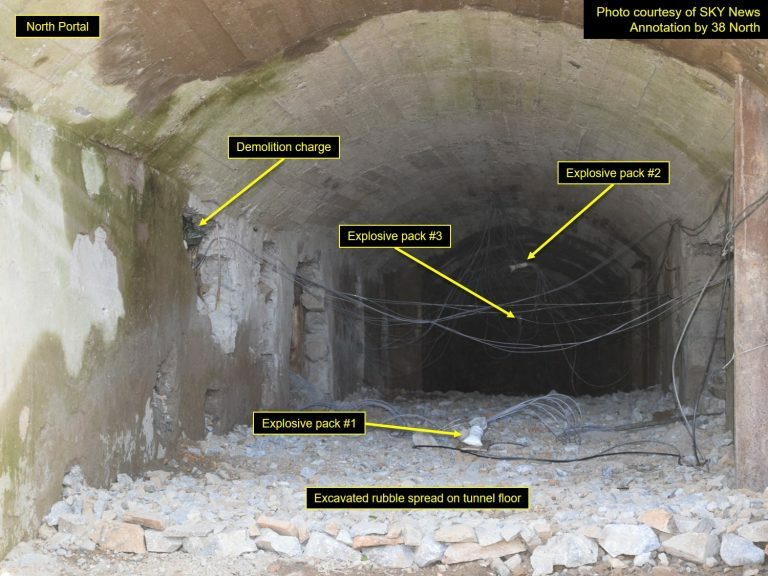 Photos of the tunnel entrances show a combination of explosive packs and demolition charges were used at all three tunnel portals. 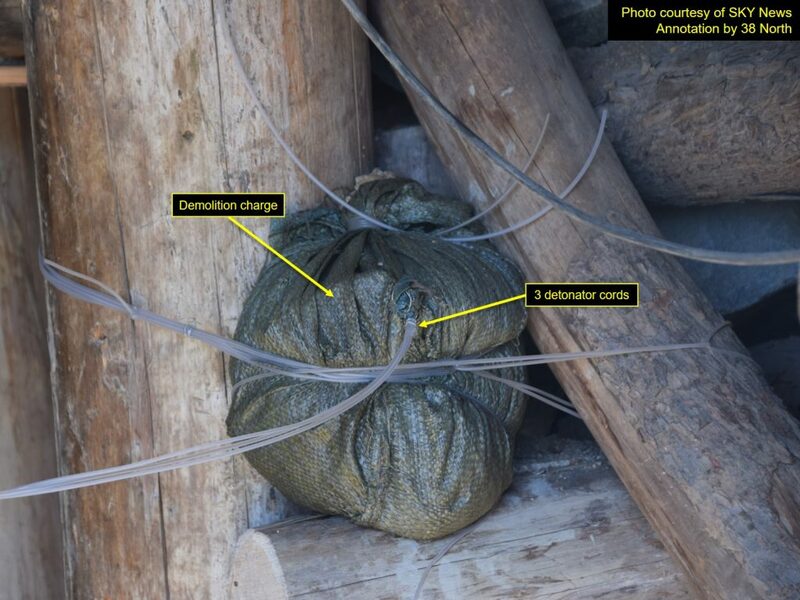 The demolition packs (greenish color) were placed in excavated sections of the tunnel walls, each providing what appears to be roughly a 5-kilogram demolition charge. The explosive packs are filled with plastic explosive initiation charges that are connected to the demolition packs via detonation cords. 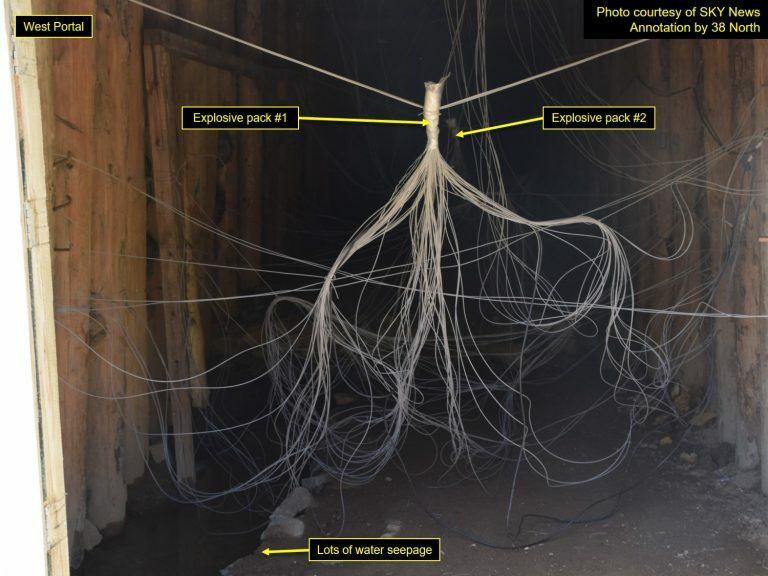 In the North Portal, three explosive packs were visible from the tunnel entrance (reporters were not allowed access beyond this point since the charges had already been placed), whereas only two packs were visible from the tunnel entrances at the West and South Portals. Figure 2. Views of all three tunnel entrances wired for demolition. Figure 2C. View of North Portal tunnel entrance wired for demolition. Photo courtesy of Sky News, annotation by 38 North. Figure 2B. View of West Portal tunnel entrance wired for demolition. Photo courtesy of Sky News, annotation by 38 North. Figure 2C. View of South Portal tunnel entrance wired for demolition. Photo courtesy of Sky News, annotation by 38 North. Figure 3. Close up of demolition pack embedded in a wall at the West Portal. 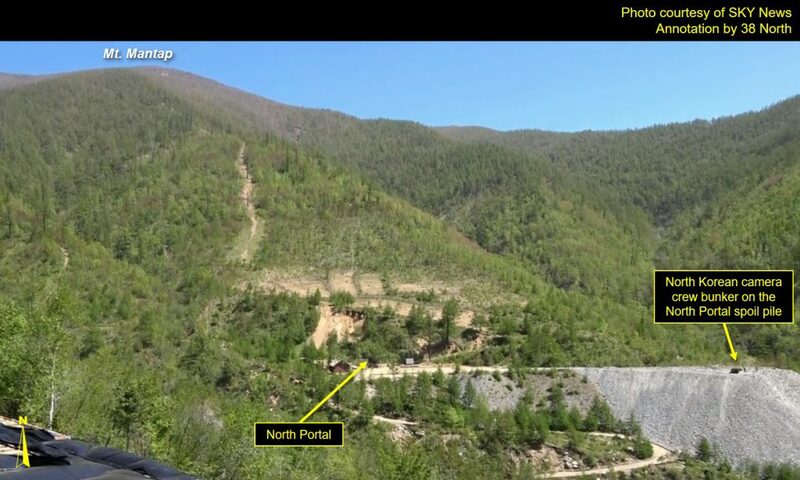 From the ground photos, a substantial landslide scarp was visible directly above the mapped tunnel (Tunnel No. 2) that leads towards Mt. Mantap from the North Portal. We had previously labeled that landslide as a possible borrow pit for stemming material. 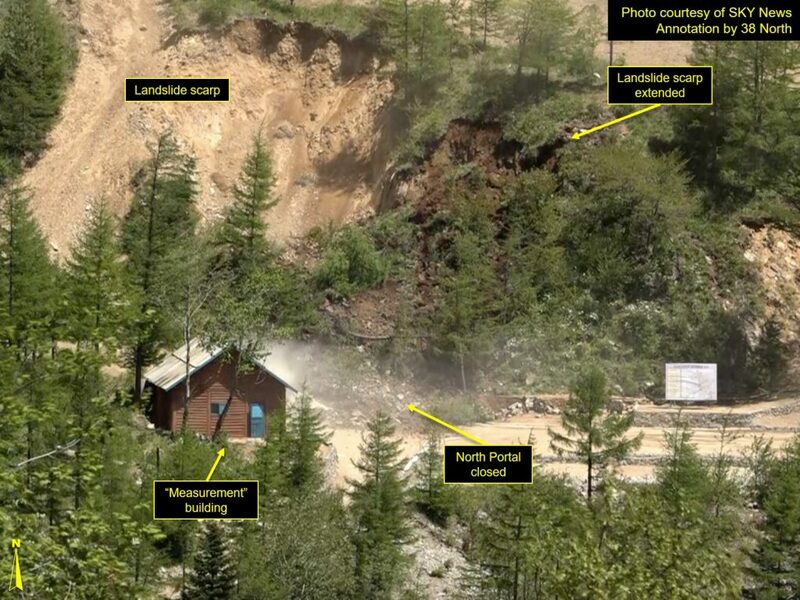 Moreover, video taken during the explosive demolition of the North Portal showed that there were additional landslides which also extended that scarp. The presence of such an unstable section, situated directly above the original tunnel trajectory, reinforces our belief that there must have been a second bypass tunnel dug via the North Portal, given that an entirely new, much larger spoil pile was created after the 2013 nuclear test, from which a delayed radionuclide release was detected. Figure 4. 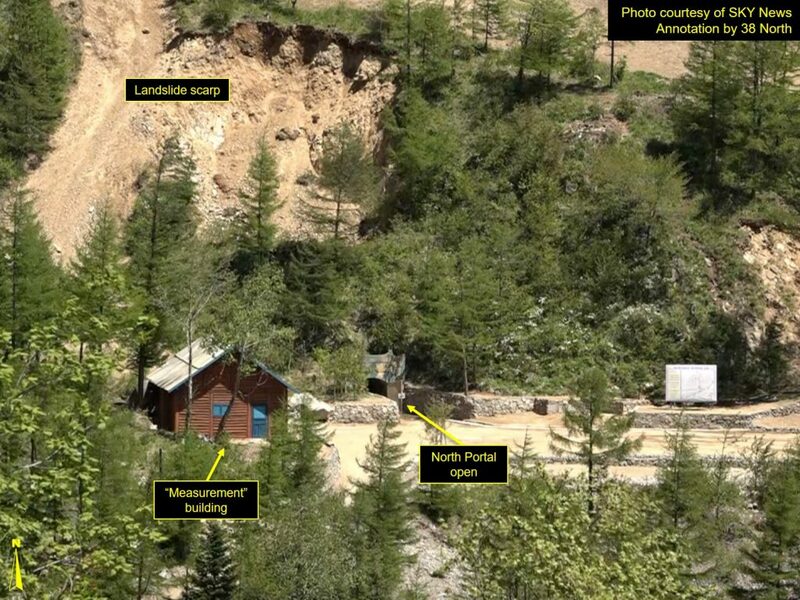 Landslide scarp extends after explosion. 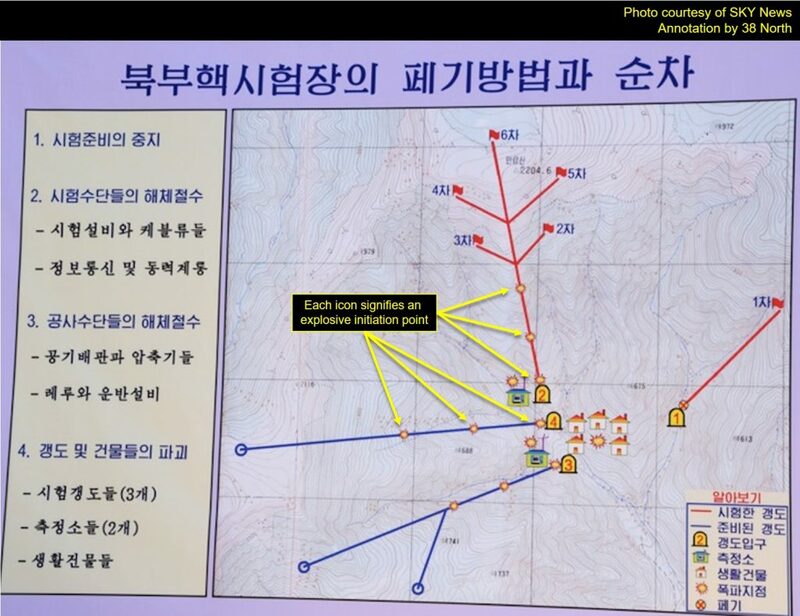 The North Korean tunnel schematic map shown to the foreign reporters also provided indications of some surface geologic mapping near the peak of Mt. Mantap. One dotted line is shown roughly 200 meters below the peak, while another dotted line lies near the peak and the basalt cap geologic boundary. The area of the map between the lines is also colored a soft beige (versus greenish-white elsewhere), which also covers much of what has been previously mapped as a stratified volcanics layer. 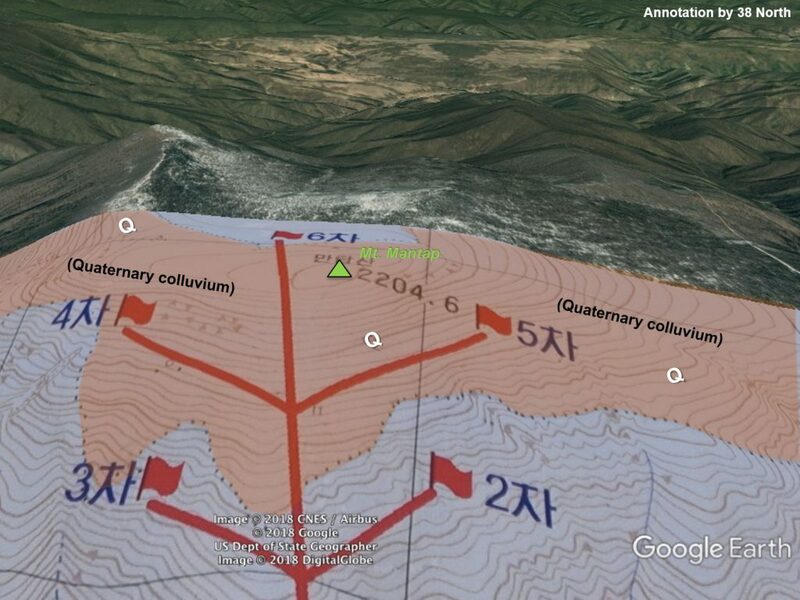 That delineated area was also labeled at various intervals with a capital “Q,” which likely signifies the geology is most recent, dating to the geologic period known as the “Quaternary.” It would seem that, for some unexplained reason, the North Koreans felt it necessary to map the boundaries of the surficial colluvium deposits that have amassed downslope from the top basalt layer. Notably absent, however, were any indications of the older underlying geology in which the actual underground nuclear tests were conducted. Figure 5. 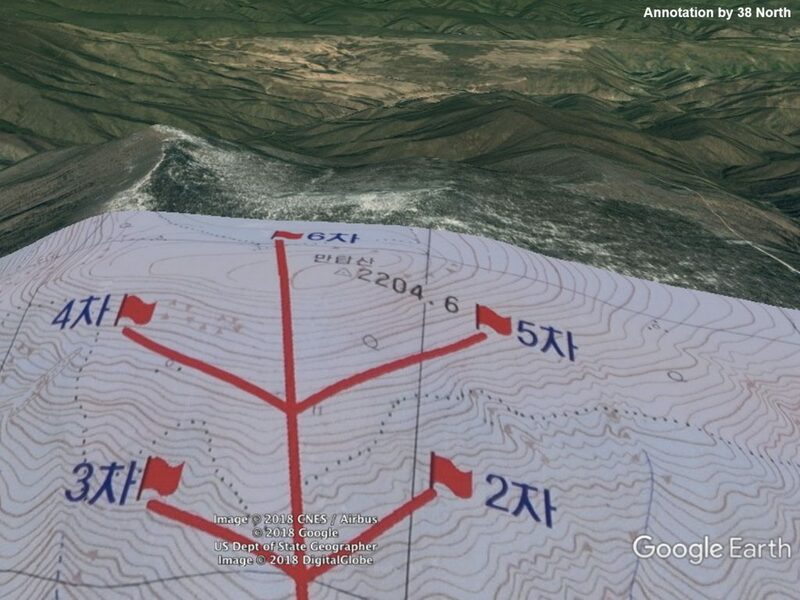 North Korean schematic map overlain on Google Earth. 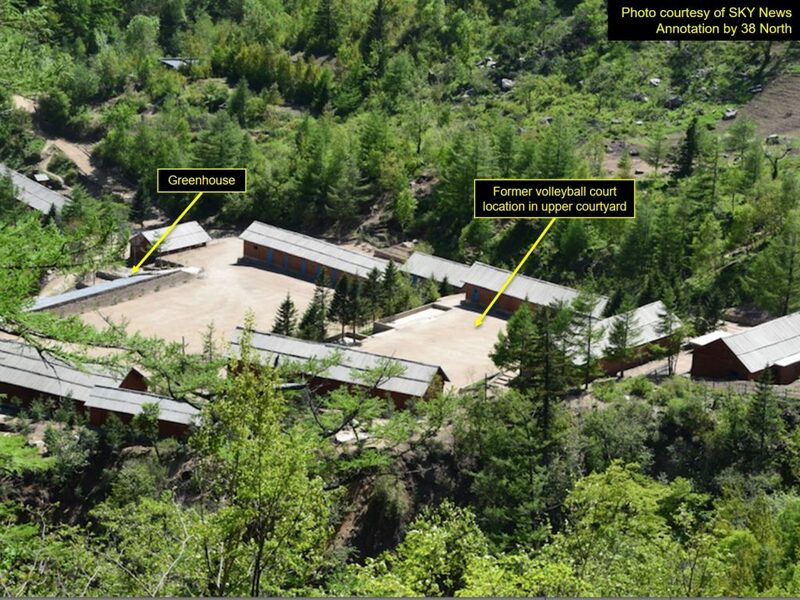 The ground photos, unlike satellite imagery, provide clarity on how steep the terrain is around the facility, underscoring why the site was originally chosen: maximum “rise” over “run” or in other words, a minimum amount of tunneling to get the maximum overburden for test chambers. For instance, while in satellite imagery the Main Administrative Area appears to be flat terrain, ground photos show clearly the terraced nature of this area with upper and lower courtyards. Figure 6. View of North Portal leading toward the steep Mt. Mantap. Figure 7. The upper and lower courtyards of the Main Administrative Area before buildings were demolished. Figure 8. 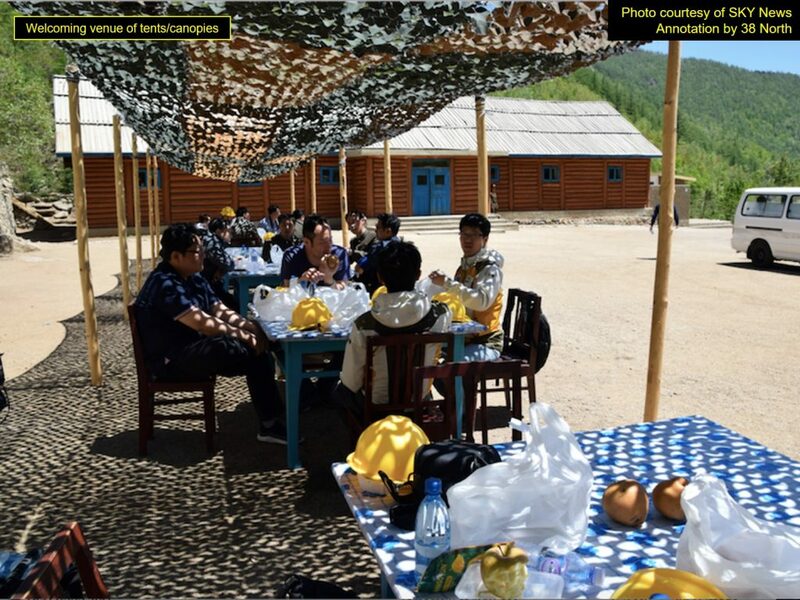 Canopies were set up for the journalists and temporary facilities were constructed. 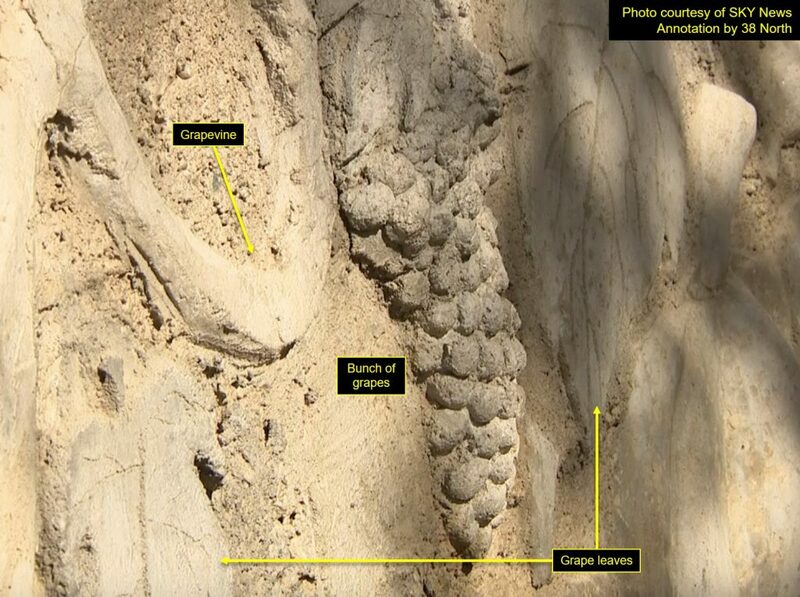 An interesting touch was this concrete bas-relief of grapes on a grapevine that was located on a retaining wall just outside of the North Portal. Figure 9. Artwork on the North Portal retaining wall. The original “East Portal” used for the 2006 nuclear test had been sealed and abandoned after the test reportedly due to radioactive contamination. The Quaternary is the most recent period of the geologic timescale beginning 2.6 million years ago and extending up to the present. Colluvium (also colluvial material or colluvial soil) is a general name for loose, unconsolidated sediments that have been deposited at the base of hillslopes by either rainwash, sheetwash, slow continuous downslope creep, or a variable combination of these processes.